Women's Zip Jacket Just $16! Down From $40! FREE Shipping! You are here: Home / Great Deals / Women’s Zip Jacket Just $16! Down From $40! FREE Shipping! Women’s Zip Jacket Just $16! Down From $40! FREE Shipping! Until December 14 only! Head over to Proozy where you can get this Women’s Zip Jacket for just $16 down from $40 when you use promo code PZY16 at checkout PLUS FREE shipping! The highest quality Fleeces, Columbia has to offer! 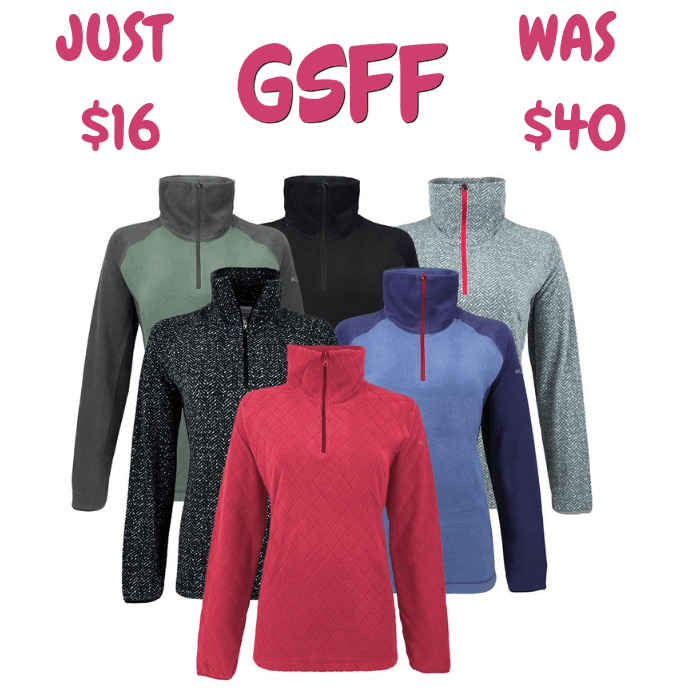 Get a mystery fleece for yourself or get them as a gift for a family member or friend that likes looking good. Styles may include Arctic Air, Diamond Print, Glacial Fleece III and many more!